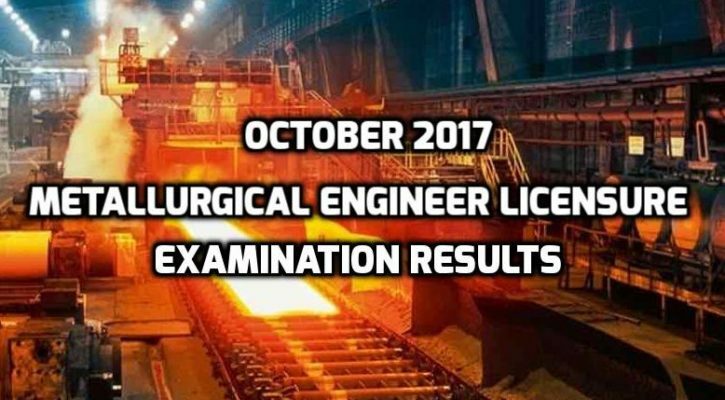 From the latest revealed information through the official website of the Professional Regulation Commission (PRC), the results of the October 2017 Metallurgical Engineer Licensure Examination are available and the names of those successful passers who took the board last October 17, 2017. 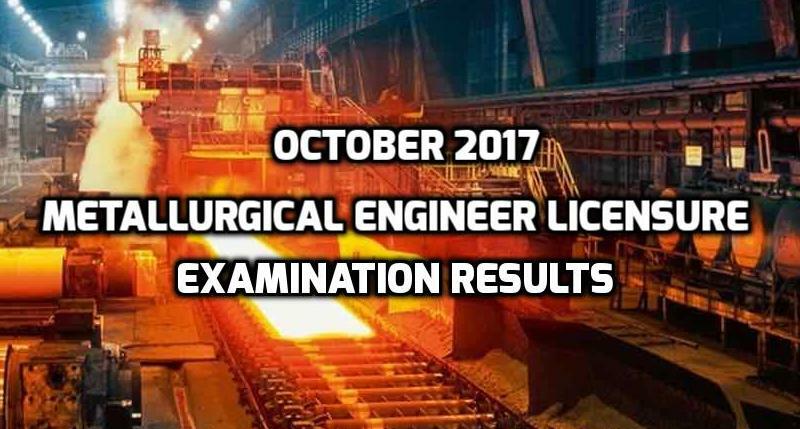 As detailed from the information released by the commission, 96 applicants took the licensure and 82 of them passed the examination administered by PRC’s Board of Metallurgical Engineering, which represented by the chairperson himself and a designated board member. 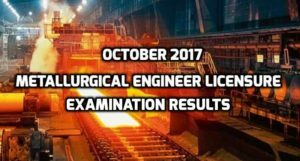 The regulation commission likewise announced that the scheduled registration for the Professional Identification Card (IDs) as well as Certificate of Registration issuance is on October 25, 2017 (Wednesday). It is important for all the passers to visit the website of the PRC online and check the necessary guidelines and needed requirements.